I'm a big fan of games with interesting premises. Sure, to some extent or another, "everything has been done before" and all that other sort of cynical stuff, but I do greatly like to see something that does break the mold a bit. 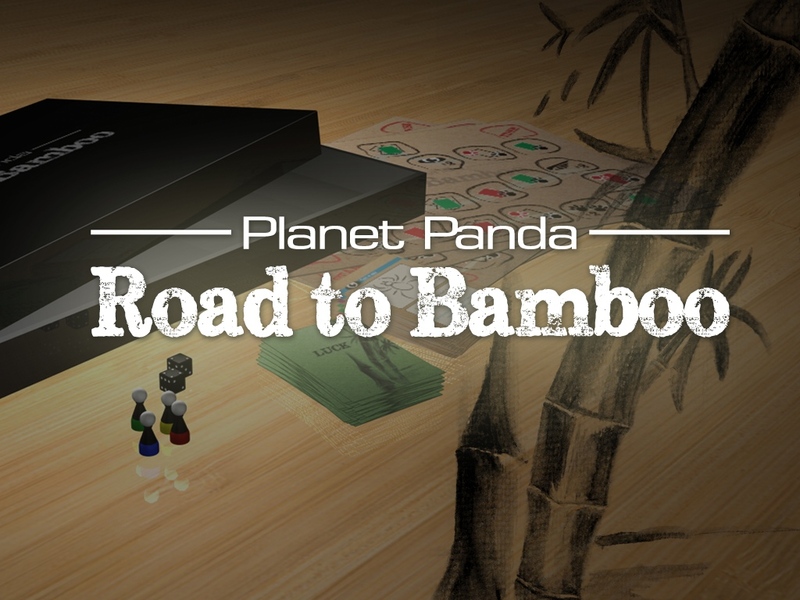 That is the case with the story behind Planet Panda - Road To Bamboo, which is up on Kickstarter now. It's a new board game by Bamboo Games (seems fitting). Out in space, there's a planet that, instead of humans, is inhabited by pandas. Of course, these pandas still eat bamboo (as any good panda should). However, the planet's bamboo forests have all died due to a mysterious virus. Thankfully, there's one bamboo forest left! Hooray! However, the road to get to the forest is long and treacherous, and there's no guarantee that there will be enough bamboo for everyone. Players must get their panda to the forest first in order to become the winner. Obviously, your other players are going to look to sabotage your journey, and the forest, itself, is dangerous. So caution must be taken. The campaign is running now and is set to do so for another 24 days.